How do I transfer names on a deed; or can I make my own deed? Yes, however, it is highly recommended that you retain the services of an attorney. 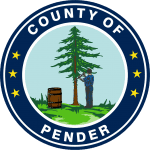 How far back does Pender County property records go? Pender County Real Estate records go back to 1875. May I file my child’s birth certificate with your office if the child was born in another state? We cannot file an out of county or state birth, death, or marriage. How can I get a copy of my divorce? If the divorce took place in Pender County, you may obtain a copy at the Clerk of Court’s office on the first floor of the Courthouse. Does your office do title searches? No, North Carolina General Statutes strictly prohibits the staff of the Register of Deeds from performing title searches. What is Revenue or Excise Tax calculation on a deed? 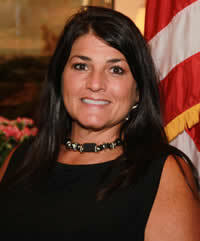 Yes, all information in our office is public record, with the exception of military discharges. We cannot research property by address. 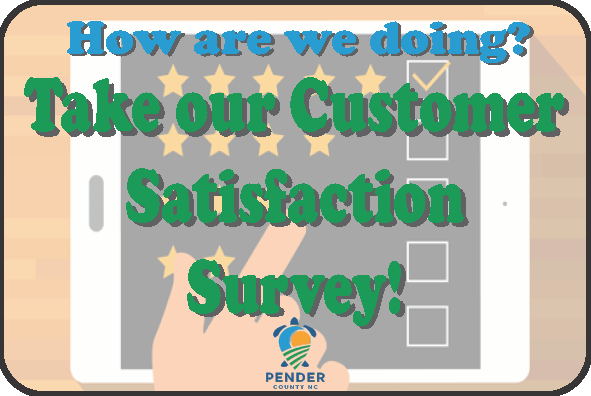 Visit Pender County GIS website at http://gis.pendercountync.gov, online services, and then GIS Land Records. How can I obtain a copy of my deed and/or map to my property? 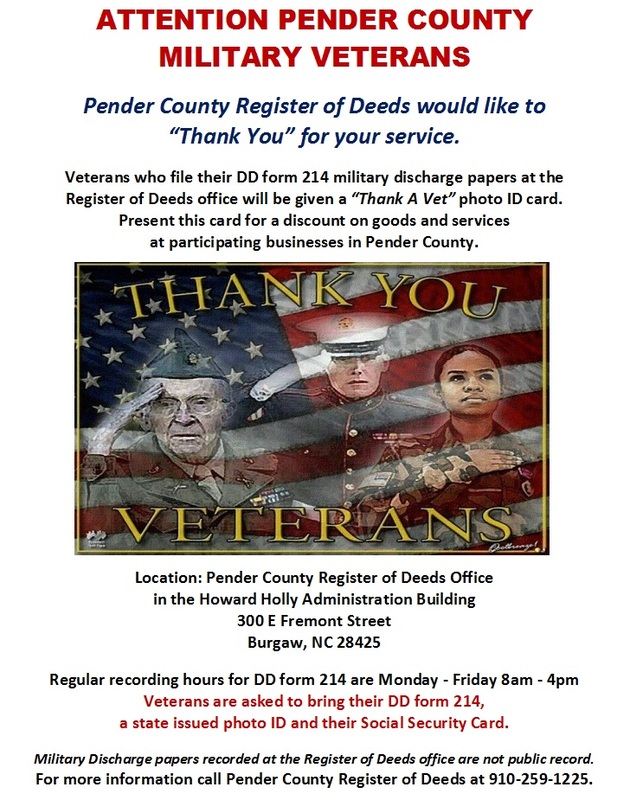 You may come into our office or visit our website at: www.pendercountync.gov/rod. 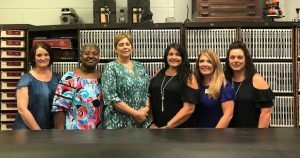 Wills are filed in the Pender County Clerk of Court’s office. Please call (910) 663-3900.